I spent most of the evening doing an inventory. After a while I stopped checking the resistors because even if some of them should be missing I have plenty to replace with. I found only one missing part namely the FT37-61 toroid core from the noise blanker kit. Right now I am considering whether I should bother Elecraft with it or just order a new noise blanker package via QRP Project. 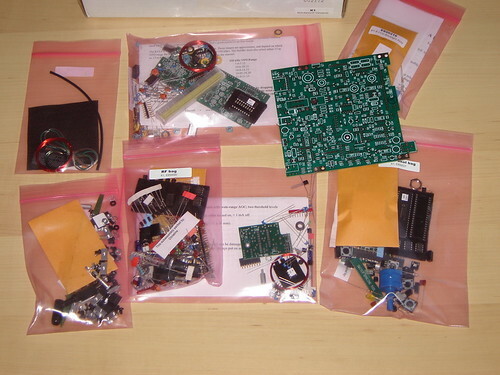 I am looking forward to tomorrow evening when I will start assembling the K1.